Monday September 10th at 5:30 pm. Can’t make it to synagogue for the High Holiday Services? Join us for a short Shofar service and inspiration. Followed by hors devours and desserts. 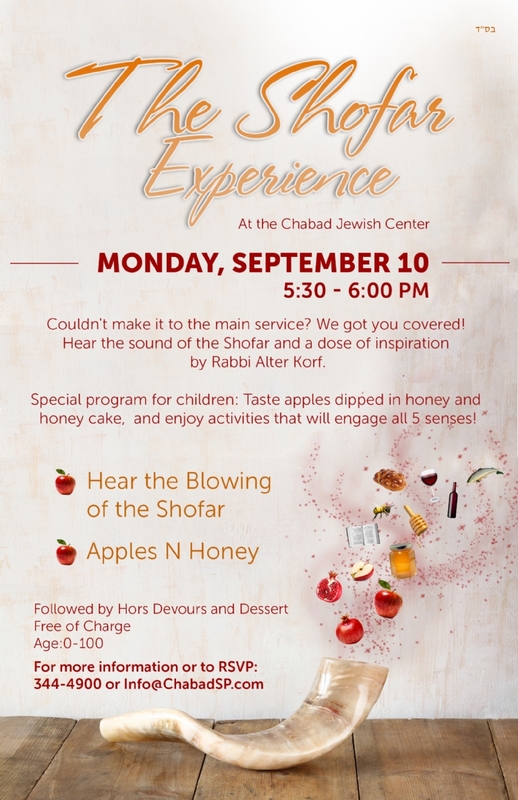 Simultaneous children’s program featuring apples and honey, decorating honey cupcakes and more!